Improve the aesthetics of two of the most abundant elements of Minecraft, grass and tree leaves. 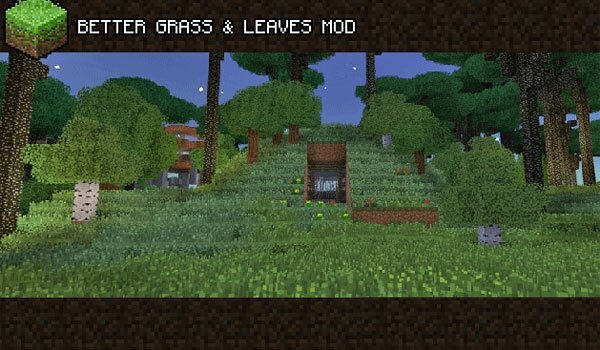 Better Grass and Leaves 1.6.2 and 1.6.4 is a mod that adds a graphical improvement for these two elements that are quite abundant in the worlds of Minecraft. This mod is also responsible for improving the appearance, adding animation to the grass, that moves as soon as we hover above and also you can see the leaves falling from the trees. If you want to set all graphics options added in this mod, just press “F10” to display the personalization menu. And remember that if you have Optifine installed, you must activate the “anisotropic-filtering”. 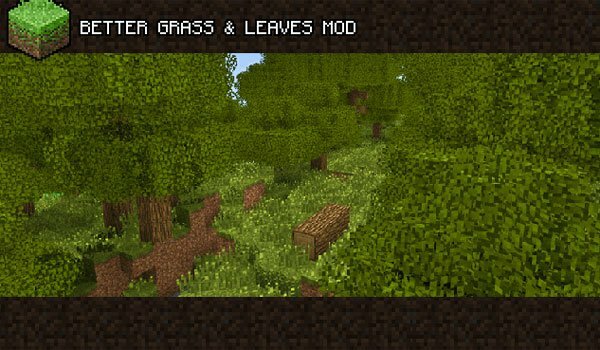 How to install Better Grass and Leaves Mod for Minecraft 1.6.2 and 1.6.4? Improves the appearance of grass and tree leaves in Minecraft!